CETEST is accredited to perform noise tests in accordance with ISO 3095, ISO 3381, TSI 1304/2014, UIC 651, EN 15892, EN 15153 and UIC 644, amongst others. 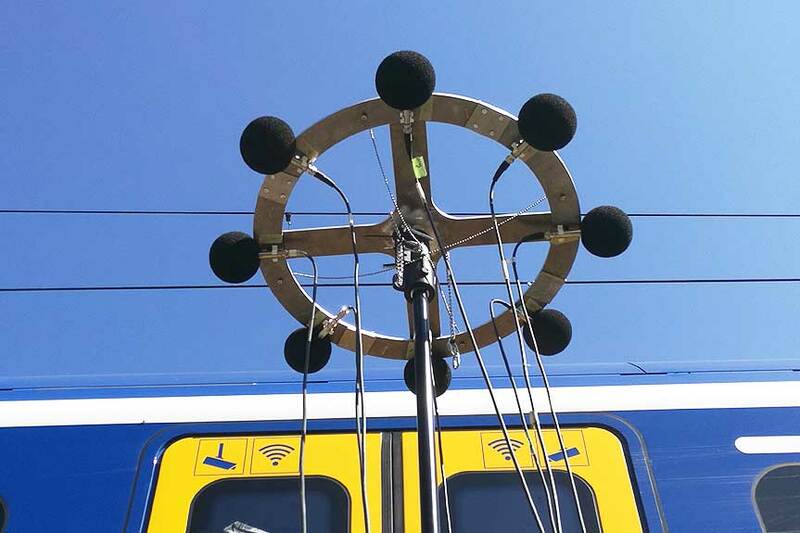 CETEST has accumulated considerable worldwide expertise in all measurements related to noise and acoustics in railway projects. These tests are required as part of the vehicle safety assessment. 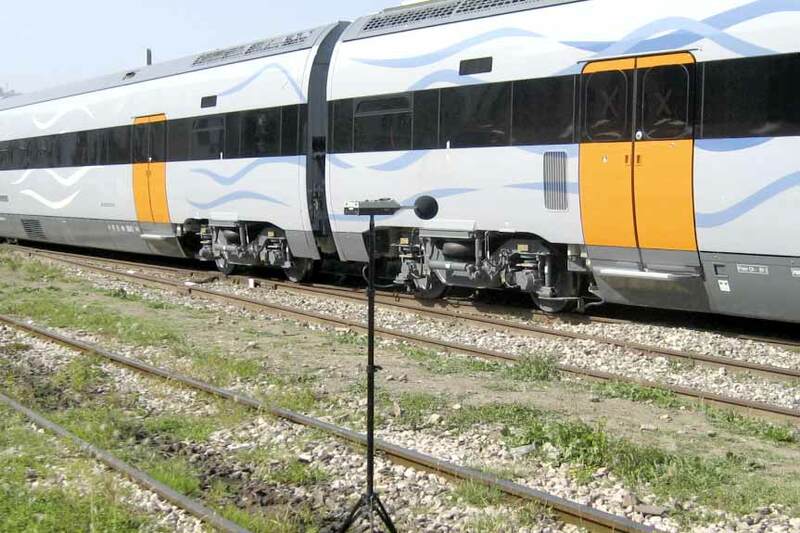 State-of-the-art acoustics equipment (microphones, arrays, acquisition and post-processing software tools) enables CETEST to adapt to measurement requirements as specified in the corresponding international standards and provide advanced research capacities: interior and exterior noise, warning devices, sound intensity, speech intelligibility, etc. What is more, CETEST also undertakes combined, complex developmental tests involving vibrations and acoustics or aerodynamics and acoustics. Interior cabin noise test. Attending to TSI 1304/2014 and EN 15892, warning horn test performed in accordance with TSI 1304/2014 and EN 15892. If the cabin contains more than one set of complete driving controls, then tests will be carried out at each of these positions. Interior noise tests while stationary are performed with the warning horn as per EN 15892. Tests are conducted at the horn’s frequencies: low and high. In all cases, the warning horn must be operating at its nominal pressure. In accordance with EN 15892, noise levels inside the cabin are measured while in motion. Measurements are made at the level of the driver’s ear. Exterior noise levels while stationary are measured at positions defined in standards ISO 3095 and TSI 1304/2014. The measurement points are placed according to the principle of reduction described in standard ISO 3095. Exterior noise levels are measured while in motion and at different positions, as per standards ISO 3095 and TSI 1304/2014. Vehicles shall be run at different operating speeds as defined in each project. For acceleration from standstill, measurement position is located in accordance with standard ISO 3095. 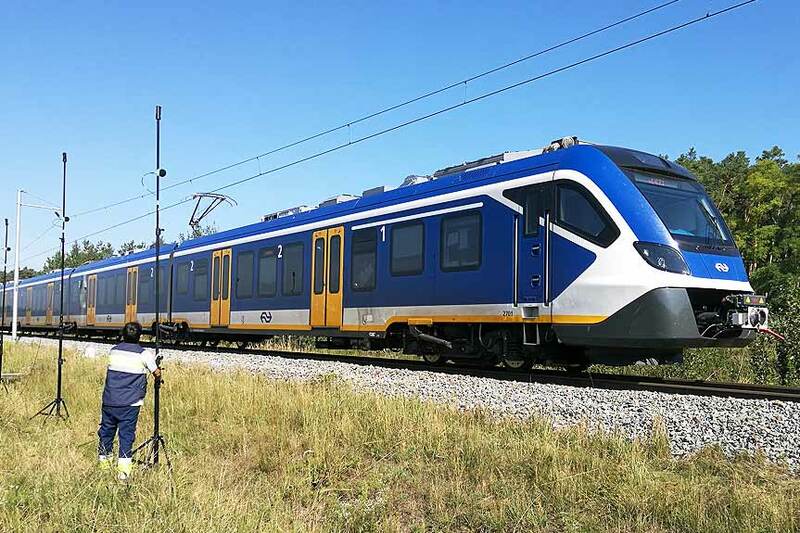 As stated in TSI 1304/2014, vehicles accelerate continuously from standstill up to a target speed and then traction effort is reduced to maintain the same speed. 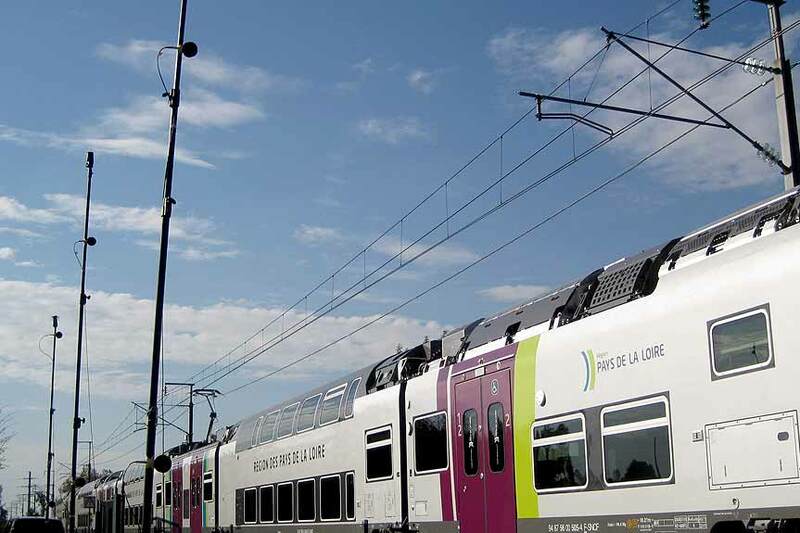 The track roughness assessment and track decay rate are assessed in accordance with ISO 3381 and ISO 3095. The procedure detailed in standard EN 15610 is also used to measure track roughness. Thanks to our expertise, CETEST has been fortunate to participate in problem-solving projects and carrying out some nonstandard tests assocaited with noise problems.